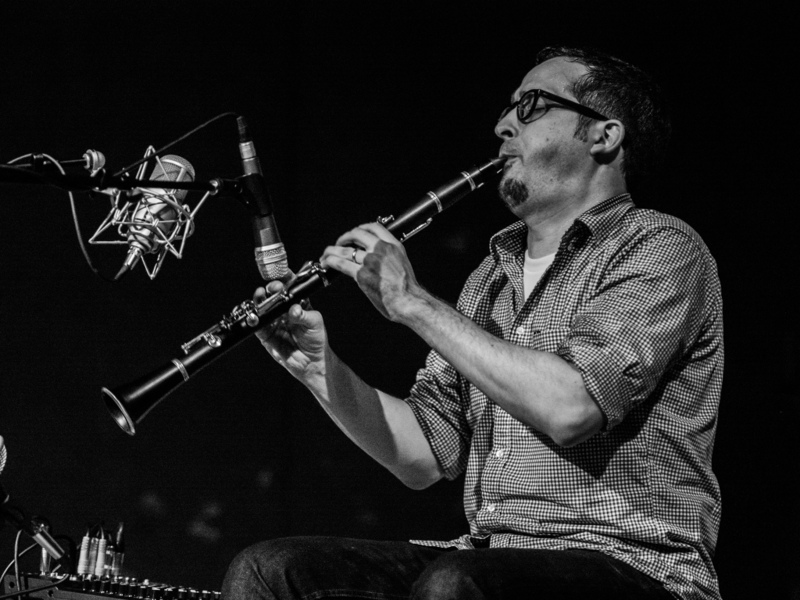 Jeremiah Cymerman is a composer, clarinetist, producer and sound engineer. His music draws upon improvisation, electronic manipulation and production, traditional, studio and graphic composition, as well as solo clarinet performance and ensemble performance. Having worked with a broad range of contemporary artists including Toby Driver, John Zorn, Nate Wooley, Brian Chase, Mario Diaz de Leon, Jessica Pavone, Jandek, Anthony Coleman, and Matthew Welch, Cymerman has toured internationally, received numerous commissions and published several articles on music and music production in publications such as Tape-Op magazine and the acclaimed Arcana book series, edited by John Zorn. He has released several recordings of his own music and his recorded output has been documented on the Tzadik and Porter record labels as well as his own, recently launched label, 5049 Records.